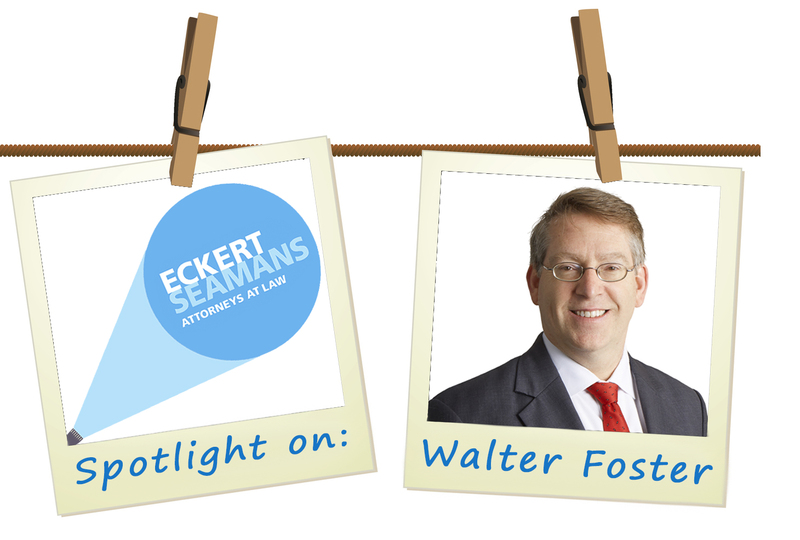 Walter Foster joined the firm’s Boston office in 2014. He grew up in Waltham, Massachusetts, just outside of Boston. Today, he lives in Acton, Massachusetts, with his wife Kate Gibalerio, who teaches third grade at public school. Their daughters Katherine (27) and Emily (25) are both graduates of Dartmouth and Northeastern University, and their son Jack (22) is a soon-to-be graduate of Tulane. Walter maintains an extensive practice in employment law, business litigation, municipal law, and pension law, providing counsel to both private and public sector employers on the legal and regulatory standards that govern the modern workplace. He has more than 30 years of trial and appellate experience, including business disputes, non-compete litigation, and employment-related disputes. Notably, Walter has handled numerous jury trials and public hearings involving claims of sexual harassment, disability, race, national origin, gender, age, sexual orientation, and religious discrimination before state and federal courts, Massachusetts Commission Against Discrimination, and Equal Employment Opportunity Commission. He has also appeared on several occasions before the Massachusetts Supreme Judicial Court, including a case concerning the constitutional right of a jury trial in discrimination law cases. I was exposed early to the law, as my father had a family law firm with his brother and his father in town. My father served the elderly and other community members in need with compassion. He was beloved and a go-to-helper. Also, my love of languages – many years of Latin – gave me a head start. Working with interesting and dynamic clients to figure out how to solve complex legal questions so they can conduct their business and focus on life. What is a book that you think everyone should read? A Team of Rivals: The Political Genius of Abraham Lincoln by Doris Kearns Goodwin. It tells the story of how Lincoln won the election and then incorporated his rivals into his cabinet, which helped guide this nation through one of its toughest chapters in history. This is a great read and puts meat on the bones of the myth that is Abe Lincoln. Well written and revealing, this book shows the “magic” and ingenuity of Lincoln in times where the nation was literally divided and how he marshalled the best talents with sometimes the biggest egos into a working team. I love architecture. In childhood, this manifested as a love of Legos, which I still enjoy. I have the many of the masters sets, including the Taj Mahal, Hogwarts Castle, the London Bridge, and the Disney Castle to name but a few. I get to share my hobby with my kids, which they have loved. I am a lifelong swimmer and participate in a masters swim group that competes regionally. It remains my go-to sport of choice and has allowed me to meet some great people over the years. Also, prior to law school, I worked for Senator Paul Tsongas of Massachusetts after interning with him during college. I worked on his presidential campaign as a member of his advance team and helped out in many states around the country. Don’t ever sit it out! A wise person once shared the importance of participating over spectating, and ever since I have been driven to be part of the hard work to tackle problems and not just sit idly by and then complain about an outcome. This was part of my drive to become a lawyer – to better understand how and why laws apply, when they should be repealed, and helping my clients understand that process. What’s one of your goals for the future? One of my desires is to write about living constitutional moments in history. Currently I am researching the history and events surrounding the Dorr Rebellion that took place in Rhode Island in the 1840s where a battle between two state constitutions and their supporters erupted in violence. Ultimately determined by the U.S. Supreme Court and holding that it involved a “political question” in Luther v. Borden, 48 U.S. (7 How.) 1 (1849) the Court ruled the royal charter (yes, Rhode Island still had it original “royal charter” from King George and had not yet adopted its own state constitution nearly 100 years after the Revolution) took precedence over the newly adopted constitution. After the decision, Rhode Islanders convened a new constitutional convention that superseded the royal charter granting the right to vote to citizens without imposing land holding requirements which had occasioned the rebellion. There were many overtones of the upcoming Civil War and abolitionist causes.